Kitten proofing your home Collecting your kitten Signs of sickness Common kitten diseases What should I buy for my kitten? The first day at home Introducing kittens to children Introducing kittens to other pets How many hours a day do kittens sleep? When can I let my kitten outside? Bringing home a new kitten is an exciting time for a family, but a little time and preparation must be given in making sure his arrival is as smooth and stress-free as possible. Before you bring him home, set up a room for him to move into. Unless you live in a small flat or apartment, confine the kitten to one or two rooms until he’s a bit more settled. This can be your bedroom, a bathroom or office. I recommend a room where the floor is either tiled or has floorboards so if he has any accidents, they can be easily cleaned up. It should be warm in winter and cool in summer. Kittens are much less efficient at maintaining body temperature than adult cats. Most kittens settle in very quickly, but it can take a few days. 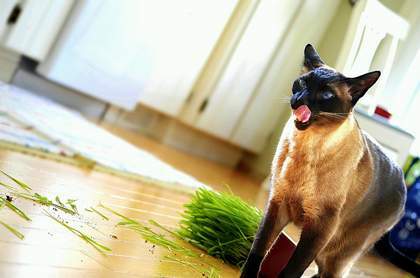 Before your kitten arrives home, walk around the house and remove any potential dangers. 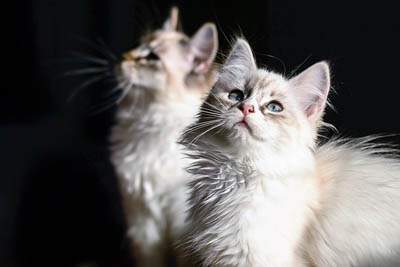 Kittens, in particular, are curious and are more likely to eat things they shouldn’t so make sure you get rid of all toxic substances such as medications and plants which could poison your cat. Keep the toilet lid down and washing machine/tumble dryer doors closed. Move breakables to safe locations such as behind glass doors or very high. Be careful with candles and oil burners. Keep them out of reach of your kitten. Keep reed diffusers out of reach, they can cause chemical burns to cats. Ribbons, string, elastic bands, hair ties all have the potential to be swallowed by a curious kitten. Blind cords can be a choking hazard to kittens and cats. Make sure they are not long enough for your cat to reach. You can attach a special hook half way up the window frame to wrap any excess cord to. Electrical cords can potentially cause shock if chewed through. Kittens, in particular, like to chew things. Unplug appliances which aren’t in use. To deter your cat from chewing the cord you can wrap aluminium foil around it or apply bitter apple. Some stores sell plastic tubing which you can slip over the cord. I am sure you could make something similar yourself at much less expense. Just buy tubing which is wider than your electrical cords, cut along the length of the tube and then wrap over the cord. Again, kittens love to chew. Put anything out of reach that you don’t want to be chewed. I had a kitten who chewed my expensive leather handbag. Give them plenty of toys which are suitable for him to chew on, they should have no small parts. Keep windows closed to stop your kitten escaping or accidentally falling from a height. When it comes to collecting him, don’t forget to bring a cat carrier so that he can be safely transported home. Make sure you get all your paperwork at the time of collection including desexing certificate, microchip form, vaccination certificates, pedigree papers (if he has them), and any relevant veterinary details, including the name of his former vet and any prior medical records. Roundworms and cat flu are the most common diseases to affect kittens. They are also more prone to ringworm than adult cats. If possible, schedule his arrival for a time when you and/or family members will be around for a few days so that he can have some company as he adjusts to his new surroundings. Place him in his new room and spend some time settling him in. Give him some food and water as soon as he arrives home. The only milk a kitten needs is from his mother, and once weaning has taken place, water is necessary. 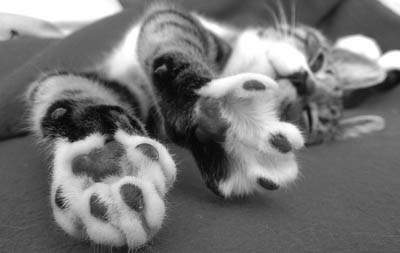 Most cats are intolerant to milk once they wean and it can cause an upset stomach. Show him where his litter tray is. Keep all windows and doors shut so that he can’t escape. Many kittens are particularly unsettled on a night, missing the comfort of their mother and siblings. If this happens, you can try wrapping a ticking clock in a towel and placing it in his bed. If it is cool, give him a hot water bottle (not too hot), to snuggle into. Children, particularly young ones (under 5) can be pretty boisterous. Let your kitten settle in before introducing him to the children. When they do meet, they will naturally want to hold him. Make sure they are sitting down and calm. Children under five should be very closely supervised with kittens as they don’t know their own strength and can easily hurt him. Make sure they know that they are only allowed to hold the kitten when they are sitting down. Gradually open up more rooms as your cat becomes more confident. I like to keep kittens confined when we’re not around, but when people are home, let them explore their new home. Let your kitten guide you. If he’s still unsure of himself and shy, just keep him in a smaller area until he comes out of himself a bit. I do find almost all kittens are happy to explore within the first day. Close cupboards, drawers and wardrobes, kittens like to hide in these places. Once I am comfortable that a kitten is settled in and getting along with the other cats, I then move him out of his temporary home and let him live in the rest of the house. The introduction of other pets should happen once your kitten has settled in, this usually only takes a day or so. Go slow and supervise. I have found cats are generally tolerant of kittens, they make a bit of a fuss, but it seems to settle down after a week or so. Just always stay with the kitten when older cats are about to keep him safe. It is recommended that when feeding cats, you feed the adults first, and the kitten second, place the food bowls in the same room, but a distance apart. Don’t introduce pets if any of them are suffering from a contagious disease such as cat flu or ringworm. 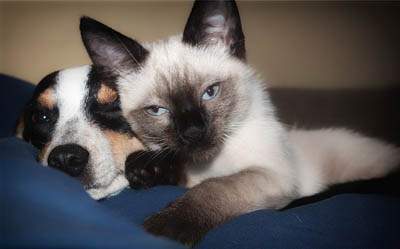 When you introduce a cat to a dog, it is important that both animals are under control. 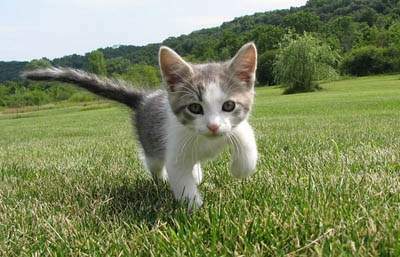 If the kitten runs away, it can trigger the dog’s chase response. How many hours do kittens sleep? 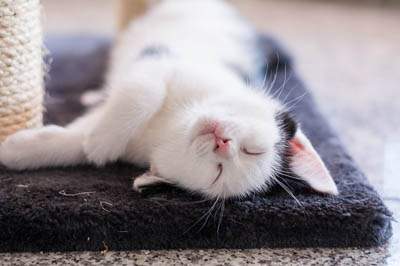 Most kittens will sleep between 18-20 hours per day. Kittens lose their baby teeth from around 3-4 months of age. Most people don’t even notice unless they find a kitten tooth on the floor. 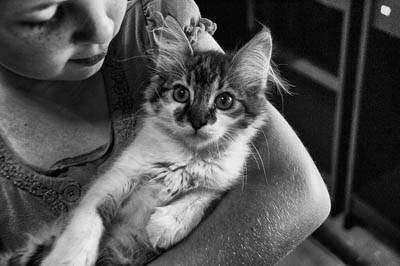 Kittens should have three sets of vaccinations at 8, 12 and 16 weeks of age. Kittens should be wormed from at 2, 4, 6, 8, 12 and 24 weeks, then every 3 months from then on. I always think it’s a good idea to take new pets to your own veterinarian for a check-up within a day or two of coming to your home. Just to make sure everything is well with him. Almost every cat shelter and the majority of cat breeders don’t let kittens go to their new home until they have been spayed or neutered. Kittens are very resilient and bounce back from this operation exceptionally fast. If you have a kitten who hasn’t been spayed or neutered, this should be done as soon as possible. 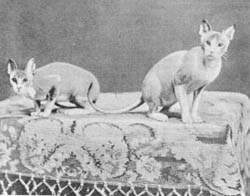 Some cats can come into season as early as 5 months. A very controversial topic, it is generally not recommended to declaw your cat unless there is a medical reason to do so. If you regularly trim his claws and provide him with a scratching post, you shouldn’t have any problems with him using your furniture. When should I let my kitten outside? Confine cats inside or give them a cat enclosure. Not only does this keep them safe from the dangers of free roaming, it also protects the local wildlife. 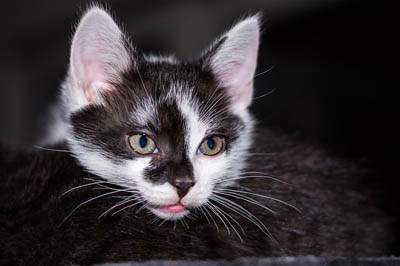 If you do decide to let your kitten out, you should wait until he has had all three of his kitten vaccinations, been desexed and lived in your home for a minimum of two weeks, longer is better. Putting butter on his paws is not recommended. Let him see his environment from the inside at first, then gradually take him for short trips outside in your arms, to familiarise himself with the area. Next articleWhat Do Cats Drink – Water or Milk?